CLICK HERE to Start YOUR Challenge! Being healthy stems from a state of mind! The Motiv8 team will help you become a stronger, more confident and positive version of yourself. Let us boost your motivation and tap into abilities you didn’t know you had or couldn’t get access to. You earn your body! A person who is fit is capable of living life to its fullest extent. The Motiv8 team will customize a training program to help you attain your goals and lead a healthier lifestyle. We don’t like the word “diet.” A diet is something you start then stop, and you do this on and off never to feel full satisfaction or happiness. This is a lifestyle! You can count calories and keep journals all you want… your body will show exactly how hard you work and how nutritiously you eat. The Motiv8 team of Amy McCarthy and A.J. Walczak have been transforming people’s lifestyles through their proven progressional training programs, nutrition plans, & mental coaching for over two decades. This amazing tandem has worked with numerous professional athletes, Hollywood “A” listers, men, women, & children alike. Amy and A.J. not only work with clients, they live the lifestyle. 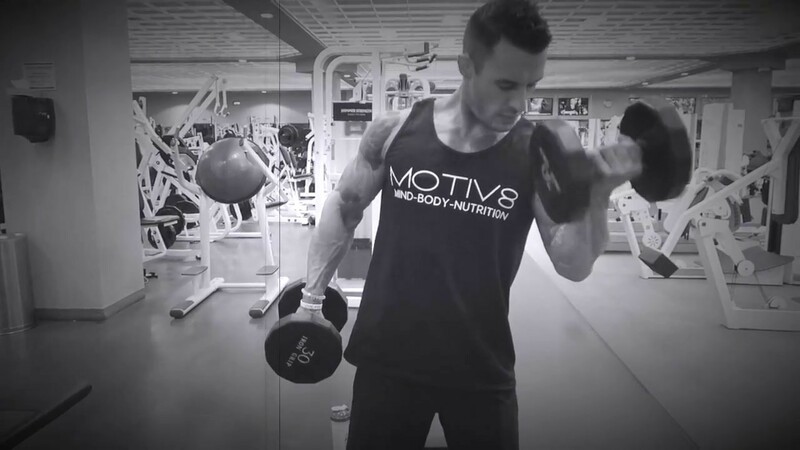 Both Motiv8 owners compete in bodybuilding and have quickly become champions in the sport. Amy and A.J. continue to train together in effort of reaching their goal of becoming pro body builders. This fitness couple also speaks at various fitness related seminars throughout the year to help people understand the importance of fitness, nutrition, and metal growth. It is a passion Amy and A.J. share, and it shows in everything they do! The tenacious approach Amy and A.J. bring to every client gets you ready to tackle any obstacle in your life. You will quickly see that this is not another “cookie cutter” fitness program where everyone is doing the same thing. Amy and A.J. create a customized program for each individual client to ensure success. You are NOT just a number… you are a part of the Motiv8 Family! Let a qualified Motiv8 staff member get to know you and your goals. Then together create a customized plan for you to achieve and shatter those goals! Whether short or long term the Motiv8 family has the right plan for you!